A pool side outlet, Oasis is the ideal place to enjoy a cool drink, freshly squeezed juice or graze from our menu designed to meet your poolside cravings. Our poolside butlers attend to every need whilst guests enjoy the cool waters of the pool or lounge in the sun in our cabanas. 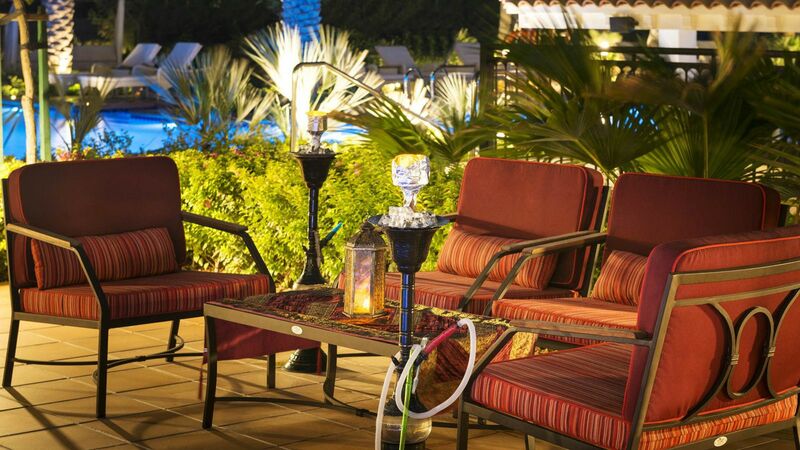 In the evening, Oasis continues the relaxed vibe as the sun sets and offers an exclusive Arabic dining and lounge experience until late at night enhanced with a quality shisha service.